Specialists and experts of V-LUX are the authors of technical and commercial concept of digital teleradiobroadcasting development in the Republic of Kazakhstan in 2008-2015. The right to design the concept document was won by V-LUX as a result of the tender organized by Culture and Information Ministry of Republic of Kazakhstan. In 2009 within the framework of this digital teleradiobroadcasting development plan, V-LUX has created and tested the pilot zone of DVB-T and DVB-H broadcasting. In 2010 V-LUX participated in testing products and technologies in accord with DVB-T2 standard in the territory of Kazakhstan. V-LUX provided transport stream transition equipment, measurement and client equipment in DVB-T2 standard. At the site V-LUX team of technical experts adjusted the units of the system and analyzed the tests results. V-LUX acted as systems integrator and supplier of equipment for digital satellite broadcasting in the projects of federal digital TV platforms: Russian Satellite Communications Company (RSCC) and “Zharyk” project (DVB-S operator in Repblic of Kazakhstan). We have also taken part in content distribution system development for Viasat. 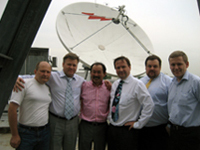 Digital TV satellite broadcasting platform for Russian Satellite Communications Company (RSCC): in 2006 V-LUX acted as systems integrator and supplier of equipment for federal digital broadcasting platform in MPEG-4AVC standard. The system was installed at the premises of RSCC. 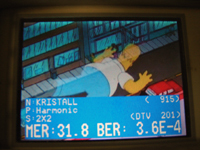 The digital TV platform is based on Thomson encoders. 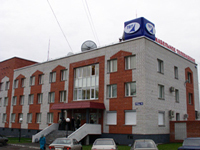 DVB-T complex in Urals region of the Russian Federation (Chelyabinsk and Kurgan districts): in October 2006 V-LUX together with Chelyabinsk affiliate JSC “Uralsvyazinform” firstly introduced in Russia pilot zone of multi-channel package digital TV broadcasting via DVB-T transmitter in MPEG-4 AVC standard. In 2006-2007 digital TV content distribution system was designed in Ural federal district, by means of digital transport network of JSC “Uralsvyazinform” in Chelyabinsk and Kurgan districts with addition of regional channels in 8 local areas. The system also comprises DVB-T transmitters in Chelyabinsk, Kurgan and some other cities of these districts. 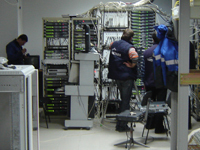 In 2002- 2003 the network for 202 000 subscribers for MSO “TVT-Kazan” was designed. This project twice became the prize winner of the most prestigious award in the field of telecommunications - CSTB award. 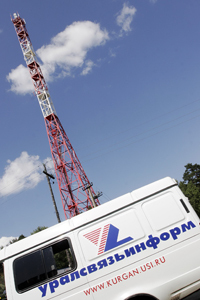 In 2010 V-LUX delivered digital TV headend equipment by Harmonic and in 2012 V-LUX supplied to “TVT-Kazan” the equipment for control of quality of transport streams. 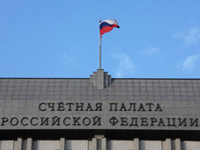 In 2011 V-LUX specialists designed, installed and put into operation the system of broadcasting of the sessions of the State Duma and the Federal Council to the building of the Auditing Chamber of the Russian Federation. Initially V-LUX specialists carried out huge preparation work: investigation of the existing system of transmission of video data, development of technical documentation with the diagram of organization of communication and display of all physical connections. The equipment was supplied under the state contract. Installation of the equipment into the racks, adjusting of the complex equipment in the racks as well as setting of the equipment and software were effected. After acceptance testing of the system by customer V-LUX specialists conducted the training of customer’s staff.